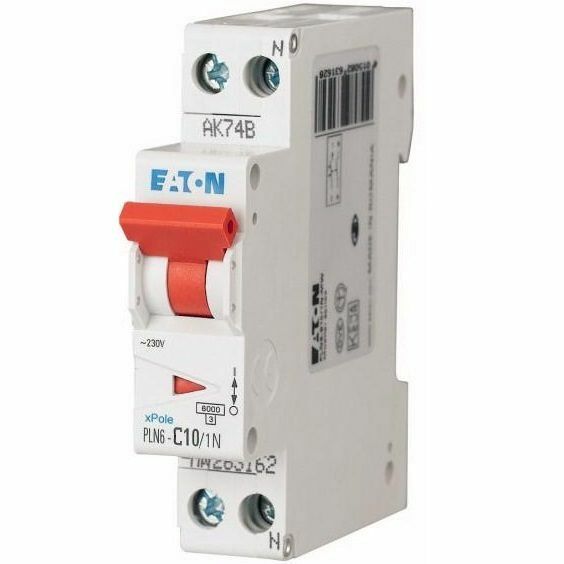 10Amp 1P+N Circuit Breaker Eaton Moeller | DamenCNC B.V.
A simple circuit breaker, that we use in our Controllers. This type is for 230V, it's 1 phase + neutral. We have it in several different amp rating. We use the C tripping characteristic. This allows for heavy capacitors, and peak loads during startup, without tripping the fuse.